The fourth and final release from our Restricted Quantities 2019 program entitled, 4Fugitives is a hearty Spain Monastrell. Learn more about this limited release wine, our recommended pairings, the varietal itself and the fugitive – José Ulloa Navarro – who inspired it. Like Navarro’s harrowing wildly juicy tales, this wine will entrance and entice the palate with a voluptuous headiness and earthy appeal that will have your glasses raised! Saludos to a man who lived with such passion! Monastrell’s known place of origin is the Mediterranean Coast of Spain although some say it could have been brought by the Phoenician traders. Its synonym Mourvèdre is derived from the name of the town of Murviedro in Valencia, Spain. Monastrell is likely derived from the word monastery. It’s mostly planted in Spain where it produces bold and earthy wines with flavours of ripe black fruits, black pepper dried flowers and spices. Craft Winemakers will finally have a chance to make their own Spain Monastrell wine through the RJS Craft Winemaking 2019 Restricted Quantities program. However as this is a limited release, Order through your local RJS Craft Winemaking retailer is essential to ensure you can get your hands on a kit or two! 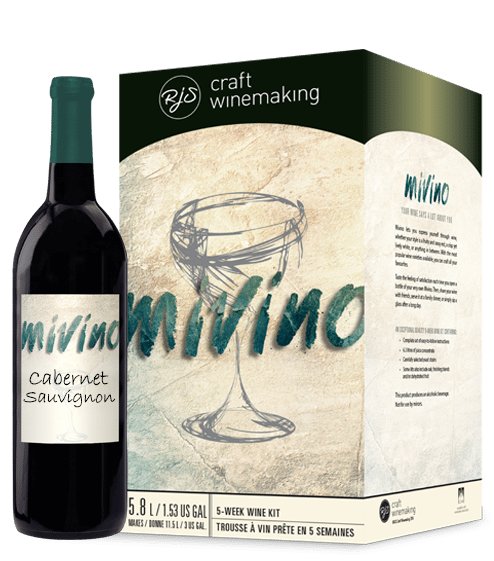 Capture an infinitely smooth wine March 2019! Step 1 Preheat oven to 350°F /175°C. Pat beef dry. In a large enameled cast-iron casserole, heat the oil. Season the ribs with salt and pepper. Add them to the skillet and cook over moderate heat, turning once, until browned and crusty, about 8 minutes. Transfer the ribs to a shallow baking dish in a single layer. Step 2 Add the onion, carrots, and garlic to the skillet and cook over moderate heat, uncovered, stirring occasionally, until very soft and lightly browned, about 10 minutes. Add the wine and thyme sprigs and bring to a boil over high heat. Step 3 Add the wine, beef stock and thyme sprigs and bring to a boil over high heat. Add the chicken stock and bring to a boil. Cover and cook in the lower third of the oven for 1 1/2 hours, until the meat is tender but not falling apart. Uncover and braise for 45 minutes longer, turning the ribs once or twice, until the sauce is reduced by about half and the meat is very tender. Step 4 Start the mashed potatoes. In a large pot of salted boiling water, cook the potatoes with the garlic until tender, about 15 minutes. Drain. 2. With a potato masher, crush the potatoes and garlic with the butter. Then, purée the potatoes and milk with an electric mixer. Season with salt and pepper. Step 5 Transfer the meat to a clean shallow baking dish, discarding the bones as they fall off. Strain the sauce into a heatproof measuring cup and skim off as much fat as possible. Pour the sauce over the meat; there should be about 2 cups. Step 6 Preheat the broiler. Broil the meat, turning once or twice, until glazed and sizzling, about 10 minutes. Add mashed potatoes in each of 4 plates. Transfer the meat on top of mashed potatoes. Spoon the sauce on top and serve.